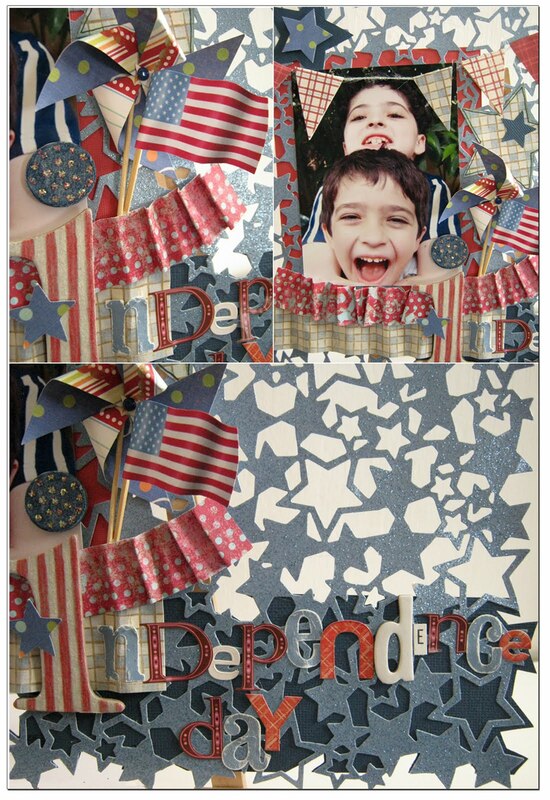 I was recently published in an e-book of crafts for Independence Day. The book is full of great projects for the American Independence Day, but can easily be applied to any country's Independence Day; all you need to do is simply change the color scheme to fit the colors of your flag! My contribution to the book was a scrapbook layout designed with one of my favorite paper products: Lace paper. 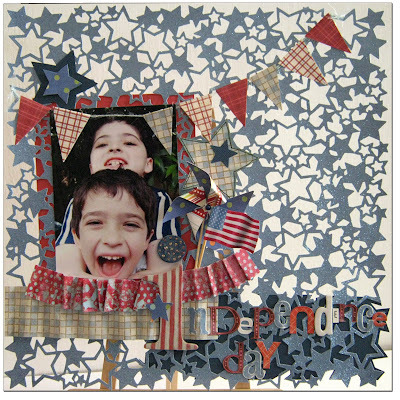 I found just the right paper for this layout, all blue stars. 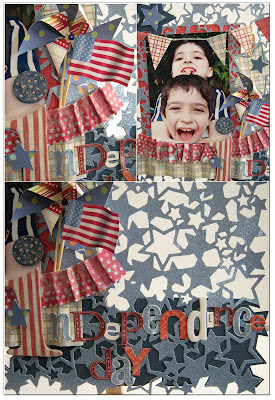 The full instructions of this layout are in the e-book and it is really easy. דף הכוכבים שלך מקסים והעיצוב ליום העצמאות האמריקאי נהדר ומאד מיוחד. אהבתי את הרקע - הוא משגע!!! 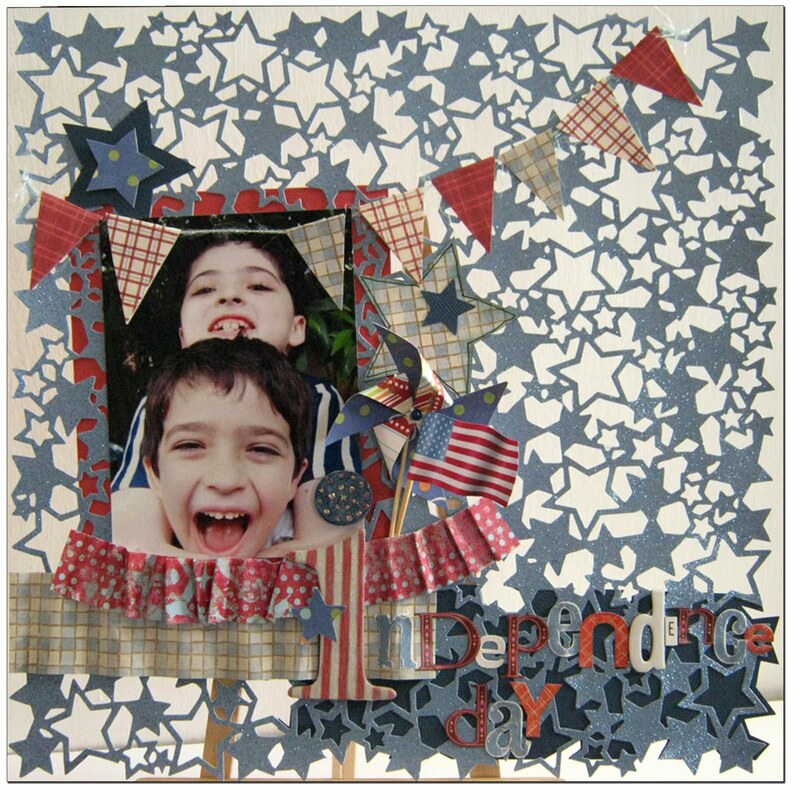 LOVE the star lace paper and your banners! This is a very awesome layout! (וסליחה שאני מעירה)- יום העצמאות שלך חל ב-ה' באייר! אלישקה את צודקת בהחלט, אבל נתבקשתי לעצב דף עבור יום העצמאות האמריקאי לצורך פירסומו בספר של פרויקטים, כפי שהסברתי בפוסט.